One "boring" day last year, I took my daughter out to a corner of our backyard and showed her how to make a fairy house. We used sticks, bark, and leaves to make a simple abode, but she then spent another hour or so collecting all sorts of natural building materials for expanding and decorating. Now that the weather is turning nice again, she's making a variation: leprechaun houses. In fact, I even found pieces of bark in her backpack--she said she needed supplies for leprechaun houses on the school playground. 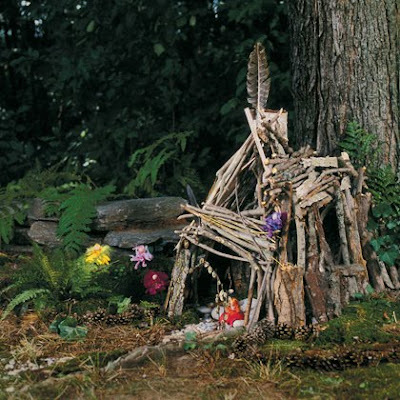 Get more ideas to help you start a fairy house at FamilyFun.com.